Born in Tasikmalaya, Indonesia on June 28, 1960. Working at Bogor Agricultural University (Institut Pertanian Bogor) since 1985. Current positions: Ministerial Expert for the Minister of Agriculture on Agricultural Infrastructure, and Head of Water Resource Engineering Division of the Department of Civil and Environmental Engineering, Institut Pertanian Bogor (IPB). Specializations in Soil Physics, Hydrology, Irrigation and Drainage. Completed undergraduate in Agricultural Engineering (1983) from IPB, Master (1990) and Doctor (1993) programs in Agriculture from the Graduate School of Agriculture and Life Sciences of the University of Tokyo (UT). Research interest among others: irrigation, drainage, stormwater harvesting, metro farming and water resource management. Involved in about 20 collaboration researches. Published more than 90 papers in scientific journals and 190 papers in proceedings. Active in teachings in the Department, and has guided more than 140 undergraduate and graduate students. 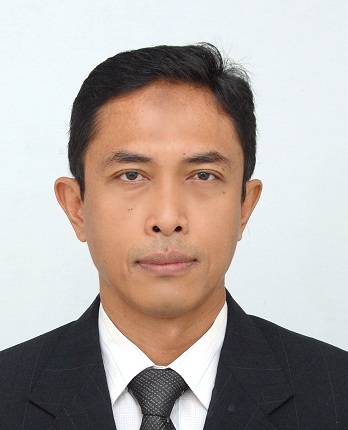 Consultant for Water Management in oil palm and forest plantation industries. 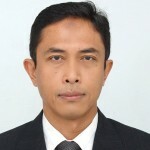 Members of more than 10 scientific societies among others are as editor in the Journal of Paddy and Water Environmental (PWE) published by the International Society of Paddy and Water Environment Engineering (PAWEES), and former committee member on Land and Water Engineering Technical Section of the International Commission of Agricultural Engineering (CIGR), and Indonesian representative for the International Peat Society (IPS). Received more than 10 recognitions including 5 patents, outstanding country lecture (2007), PII Engineering Award (2008) and PAWEES international Award (2010).